Passion, integrity, discipline and strong core values are the characteristics that continue to define the growth of Harcourts Alliance and words that capture the heart of Ben Bernacki, Managing director and Sales Specialist. Having grown the business into one of Harcourts most successful franchises by a focus on communication, team support, mentorship and building strong lasting relationships with his team and clients. 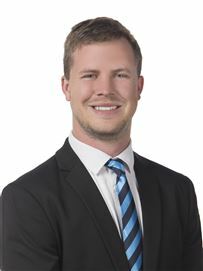 Ben is always striving for growth – both personally and professionally and considers himself driven in business by helping others to achieve their own goals in the Real Estate industry. He lives by his driving philosophy in his role as Managing Director – ‘to create an environment where everyone is encouraged and supported to be the best they can be.’ Working side by side in the business with his wife Lisa, together they have exemplified balancing a busy workplace and incredibly active home life with their 4 boys. They understand the importance of family and extend those values into the business. Family time for Ben means boating and sports activity with a passion for football and the mighty West Coast Eagles. His hobbies include cycling, reading, engineering in the garage with the boys and albeit a bit cliché Real Estate in general. The plan is to continue to grow and provide staff the opportunity to achieve long term successful careers maintaining the highest standards. With an office Mantra of going for number 1, the Alliance vision is achieving number one office across all brands in WA. Proving they are well on the way receiving REIWA’s #1 large Agency for Excellence in 2017. National Finalists in REBA for Sales and Property Management. ‘Business of the Year’ from Joondalup Business Association. ‘Excellence in Workforce Training’ and ‘Employee of the Year’ from Wanneroo Business Association in the previous year. After more than 20 years in real estate Mike Nowotny is super experienced in getting great results for his clients. Mike has a great reputation for excellence and while many of his listings are repeat business from previous clients, now-adays he's selling homes for their grown up children too! Originally with the Royal Australian Air-Force, Mike's code is 'Success through integrity'. He understands the value of a professional approach particularly when it comes to ensuring that your property is marketed and sold to the right buyer for the right price. mike will provide you with a full real estate service including honest and accurate market appraisals, advice on marketing and financial strategies, an active marketing programme and above all, honest results. Rachael joined Harcourts Alliance in 2014 as our Business Manager and brings with her a wealth of Management, Administration and Recruitment knowledge. Having worked her way up in Events and Administration, Rachael started a career in Generalist Recruitment in 2007. She soon found her niche working in the Real Estate sector which lead to her working as a specialist recruiter before moving to Harcourts Alliance. With many years working in Real Estate Recruitment as well as Administration, Rachael provides both a personable, professional service to her clients and ensures the business is running smoothly and efficiently to a high standard. Rachael has a genuine passion for Property and a strong belief for creating clients for life. Real Estate and Property is a forever changing industry that requires a Business Manager who know the industry well and genuinely cares about the business, its staff and the clients. Rachael brings to the team a vibrant personality, excellent communication skills and the ability to get the job done whilst ensuring her team are working to the best of their ability to service your property needs. Talent, commitment and customer service flair are the attributes this Victorian girl, Sam Riley, brings to the team. Relocating from Darwin to Perth, it is our people, clients and staff, that truly benefit from her move. Sam has become an integral part of the team and she is continually commended by her colleagues for an outstanding ability and willingness to help clients. A friendly, dynamic force in property management and an emerging leader in the industry, Samantha Riley is sought-after for her diligence and attendance to communications with her customers and staff, and is well known for her willingness to go far above and beyond.. She skilfully and passionately leads the successful property management team, and stays at the forefront of new developments in property management. If you're looking for friendly expert advice, timely communications, and a manager who will go the extra mile for you, you’ve found it in Samantha. 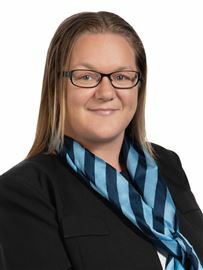 Recognised on a National stage in July 2015, Samantha achieved Finalist status in the Real Estate Business awards as 'Property Manager of the Year - Metropolitan' and was also awarded the City of Wanneroo's Employee of the Year in 2016 showcasing her experience and dedication to her role and the industry. Alba has built her career on the strength of relationships with her clients. Having studied a Bachelor of Arts and later working in law and the building & construction industry. Living and raising a family of her own in the area she works, Alba offers life and industry experience and has excelled to become a reputable name in Perth Real Estate. Known for her up front honesty and no fuss approach. Constantly learning and completing a Diploma in Property, most of Alba's business today is from repeat customers. Alba is focused on the needs and goals of her clients and is committed to achieving the best possible result whilst maintaining a personal level of service for each and every client. Alison has been working within the real estate industry for more than 4 years. Prior to this she worked within the community housing sector as a Property Manager. This combined experience has allowed Alison to gain a broad range of skills within the industry, and has in turn led to a progression in to real estate sales. Alison’s goal is to work with clients to achieve the best possible outcome. Her attention to detail and commitment to her buyers and sellers is outstanding. She will keep her clients well informed and has an open, honest and professional approach in all her dealings. Please do not hesitate to call Alison to assist you with your real estate needs. Amanda started her career in sales in 1989 and commenced her ongoing passion for real estate in April 2009 as a sales person. Her incredible desire to deliver a service that exceeds her clients expectations is evident to the referrals and testimonials she receives from her clients. A real estate expert who uses the latest in software technology, social media, internet research tools and contact management systems to profile her clients property and keep them up to date with what’s happening in the market place. Advising buyers of new listings and report systems for her vendors so they know at any time what is happening with their property. Amanda assists buyers and sellers irrelevant of whether it’s a $350,000 or a $2 Million Plus home. She truly believes It’s all about connecting with people as this may be one of their biggest assets they will ever own and they need to feel their real estate agent will sell it as if it was their own. Her down to earth friendly approach is evident when you deal with her and yet her strong negotiation skills are paramount as she believes when dealing with an offer you need a negotiator not a messenger! As an award winning agent who delivers on her promises and prides herself on her attention to detail you will be refreshed to hear that Amanda puts her client’s needs first and will keep you up to date all through the sale process. Moving over from England in 2007 and as a mother of two children, Amanda understands the importance of raising children in the modern world. She supports local community events and is involved in fund raising for Princess Margaret Hospital. Her passion to support others and make a difference is what sets her apart. Courtney began her sales career from a young age and took out numerous sales awards including Gold Sales Professional of the Year and Top Sales Executive of the Year for the respective companies at which she worked. Starting her Real Estate career in 2012, Courtney uses good old-fashioned customer service teamed with her strong negotiation skills to ensure her clients receive the very best result and the most enjoyable customer experience. Courtney believes that selling and buying real estate is one of the biggest transactions anybody will ever make and therefore understands the importance for her clients to feel confident in their decisions and to feel supported throughout the process. Born and raised in Perth’s Northern Suburbs, Courtney is passionate about all things Real Estate and has personally lived in many of the suburbs in which she sells giving her an insight into the wonderful selling features of Perth’s northern pocket. Being a part of the top selling team for one of the world’s most renowned Real Estate agencies for several years, Courtney has the foundations and experience to offer the highest level of service for every client she has the pleasure of working with. Courtney attributes much of her repeat and referral business to her exceptional work ethic, honest and upfront approach and true passion for the industry. Commencing his real estate career well over a decade ago, Creagh Ferdinands found that he had started more than just a job; he found his passion for working with people to achieve their real estate goals. Constantly seeking a better solution and taking the time to really find out his client’s needs, Creagh takes great pride in his sales results and friendships formed with all those he assists. Since 1995 Creagh has consistently been recognised by his peers in the Top 5% of Sales Achievers, as well as multiple other awards from within our Group and REIWA. His goal is to provide a service that will exceed your expectations. There is no substitute for experience. English born, Aussie bred. Daniel Murphy has worked in the property industry for almost half his life. Starting off his career specialising in property settlements he has also spent many years working in the building industry. His wealth of knowledge and experience in sales and marketing combined with his charismatic and energetic personality gives you the advantage when it comes to selling your home. Integrity and honesty are values that Daniel strives to live by. A highly successful agent with a true passion for real estate, Daniel was 4th place Rookie of the Year 2009/2010 with one of Australia’s largest Real Estate Franchises. An honest agent with exceptional communication skills and the tenacity to negotiate the best outcome for his clients, Daniel is sure to see your buying or selling needs are met with the highest level of professionalism and care. The Real Estate industry is renowned for distinctive characters with unique qualities and business styles and George Ferrier is one such agent. George was born in Scotland and after leaving school enjoyed a successful naval career. In 1990 he moved his family to Perth and by utilizing his engineering, communication and administration skills George established an irrigation and landscaping company which still operates today. George built up an extensive client network through supplying services to the residential and commercial sectors which gave him an introduction to the real estate industry that would become not only his career but his passion. “I believe the success I have in real estate is because I enjoy building relationships and helping people smoothly navigate a way to achieve and often exceed their real estate dreams. Open, honest communication is paramount and to have a client’s confidence in me to follow through on everything I promise, is a confidence I take seriously.” George constantly strives to make a difference in all facets of his real estate career by offering a service and dedication to his clients that is second to none. His extensive knowledge of key aspects of the building trades has been invaluable in helping clients make informed decisions on properties and this honest expertise earns him repeat business and glowing testimonials. 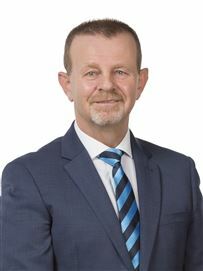 “Harcourts enjoys an outstanding reputation throughout Australia and I am proud to be a key member of the dynamic team at Harcourts Alliance Joondalup.” Call George for a chat on 0403 236 758. After many years as a teacher in the UK, Helen developed her skills to listen, communicate and negotiate in a wide range of situations: Skills that have adapted perfectly to her real estate career. Having been with the company for over a decade, Helen is very much a senior member of the team. Helen’s concentration on providing the absolute best service for her clients and her uncompromising honesty are considered to be her great strengths. Ian and Lauren have lived and worked in the northern suburbs for over 20 years. Being perfectionists they do their best to make sure that every sale is of the highest standard, ensuring a smooth experience for all involved. The MacLeans have enjoyed a very successful real estate career achieving numerous awards. Ian was even awarded 'The Grand Master Award' - one of REIWA's highest awards! Both Ian and Lauren value their clients and strive to exceed their expectations, which is evidenced by the amount of repeat business and referrals they receive. With their motto 'RESULTS MATTER' combined with a strong work ethic you can be assured that, when you choose the MacLean Team to sell your home, you choose a winning team! Together Jeff and Margaret have sold hundreds of homes in Perth in their Real Estate career that spans 25 years. This has led to the establishment of a solid grounding and experience of suburban and coastal residential properties in the Northern suburbs. Over this uninterrupted period of time in service, they have developed a highly regarded reputation for residential property sales. Working in the community in which they live (they have been residents of Mullaloo for more than 20 years) has led to them developing many authentic and longstanding relationships with home buyers and sellers who return time and time again to them for their property needs, as do their clients' friends and new generations of clients’ families. They have always immersed themselves in the local community, being members of the Mullaloo Surf Club and Westcoast Masters Swimming Club and supporting local Primary School and Safety House projects. Jeff and Marg are firm believers that “if you are going to do a job, do it to your very best ability”. Due to their tireless work ethic, they have carved a strong career in real estate based on excellent people skills, property negotiating techniques and marketing strategies. The majority of their business comes from past or referred clients and this is testament to how consistently they stay in touch with clients once they have sold or bought their new homes. Jeff and Margaret have achieved Multi Million Dollar sales recognition from the Real Estate Institute of WA and many other industry related awards. They offer a "full comprehensive real estate service". Whether it is advice that you require on selling your home, purchasing an investment property, property management or whatever other real estate requirement you may have, they are able to assist. Driven by a desire to provide excellent service to her clients Karen Nicol prides herself on going the extra mile by attending to the “hard tasks” which others choose to avoid. Previously working in the health sector and assisting people in times of stress has formed a solid basis for Karen’s real estate career, understanding the emotional stress of buying and selling your home. Karen’s amazing knowledge of Hocking, Pearsall and the surrounding district reflects her passion for real estate and people. Kathy is a hardworking and dedicated professional with a friendly, yet professional demeanour that lends well to establishing and maintaining links and professional relationships. She is very well motivated as demonstrated through her past sales experience spanning over more than a decade. Kathy’s ability to handle crisis situations with a realistic and feasible approach and a firm grip on reality helps to turn adversities into opportunity. Her communication skills and team work is an asset that she utilizes with dexterity in handling any real estate scenario presented to her. Kathy’s determination and understanding of her clients requirements is outstanding. She deals with her clients not for the sole purpose of sales but for maintaining and enhancing relationships. Kathy appreciates that your home is one of the most important assets you will ever own and her humility, combined with her outstanding negotiation skills will give your property the upper hand in the real estate market. Kathy’s “we’re in this together” approach in her working relationships is what makes her natural ability to connect with people and is very approachable. Friendly, enthusiastic, and very motivated. She is a true professional who is committed to ensure that you receive the best quality service when selling or buying your home! With a passion for people, customer service and sales, Kirrily is driven by results and consistently exceeds the expectations of everyone she has dealings with. Living and working by the motto - "Advice is free and REAL service is priceless" - means Kirrily will go the extra mile to ensure her clients are looked after. Kirrily brings with her more than fifteen years experience in sales and a determination to achieve outstanding results. Whether looking to sell or buy, if you want REAL service, REAL advice and REAL results, contact Kirrily today. 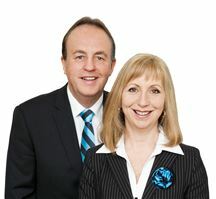 With over 25 years of experience, Len and Lyn are the ultimate real estate resource and aim to provide you with all the information that you need to make those big decisions when buying or selling. This husband and wife duo are committed to service and making your transaction as smooth and stress-free as possible. Their attention to detail and personalized service will help you make a move that not only fits your immediate needs, but your long-term goals as well. Their mission is to help clients to enjoy their move into a new home and avoid stress. Sharing his extensive knowledge and expertise gained both locally and internationally, Len offers his clients a thorough education in the buying and selling process. First-time buyers and experienced homeowners alike are able to feel confident throughout their transaction as Len ensures that clients fully understand what is happening and are aware of their options. Maintaining the personal touch is important to Lyn. "In this age of instant messaging and personal assistants, many buyers and sellers rarely see or speak directly to their agents. Len and I don't ever want our clients to feel that we are too busy for them." Lyn's mission is to provide her clients with a combination of old-fashioned personal service coupled with state-of-the-art marketing. "Our clients want to feel informed and confident and we wouldn't have it any other way." Matt comes from a manufacturing background. Through his hard work and work ethics he was quickly promoted and given the responsibility of dealing with a large client base and effectively managing the team in which he worked. After 9 years of achieving everything he could possibly achieve, he embarked on a new challenge. Matt had always had a keen interest in property and took it a step further when he found other like-minded individuals that share the same enthusiasm, the same values and the same common goal when he joined the successful team of Creagh and Associates Matt understands that selling real estate is constantly evolving with different markets producing different challenges and that actions that proved successful today are often unworkable or impractical tomorrow. Matt believes it is important to move with the times and to embrace technology, with continuous training and development. Matt's goal has always been 'people first' and he will do anything to help people in finding the house of their dreams. Matthew Mulé commenced his career in sales back in 2005 where he spent several years selling a wide range of products and services, from mobile phone technology to commercial websites, all the while building a solid foundation for sales and exceptional customer service. Early in 2011, Matt made the transition into real estate sales and has quickly proven himself to be one of the best in the business. In his first year Matt was awarded the Harcourts Rising Star Award for the most promising recruit in Western Australia. Since then he has gone on to receive multiple awards and recognition within the industry for his excellence in sales and negotiations. Industry awards aside, Matt is now widely recognised in the community for his friendly, down to earth and genuine approach towards real estate. This, combined with his dedication to exceeding his clients expectations while creating an experience, rather than just a transaction, is what really sets him apart from the rest. Matt attributes much of his repeat and referral business to the open and honest way in which he conducts his business and takes a great deal of pride in the heartfelt thanks that he continuously receives from past and current sellers. Selecting Matt means that you won’t just have an agent who simply tries to sell your house, but instead one who is absolutely committed to guiding you through the entire process with ease and to ensure you achieve the very best possible result! Rhonda commenced her real estate career in 1991 and now, as a qualified Licensed Real Estate Agent, holds the position of Director/Licensee of our High Profile Joondalup Office which was awarded Number 1 Harcourts Office for 2005/06. 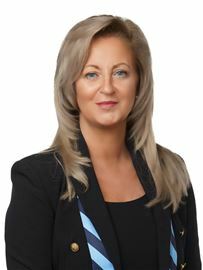 In June 2003 she became a REIWA Accredited Specialist. REIWA assesses real estate specialists for you on their ethical practice, specialist skills, training and up-to-date industry knowledge. REIWA Accreditation is your assurance that you are employing a real estate specialist committed to an elite level of professional standards. As a listing and selling Consultant, Rhonda was the Area Manager for the suburb of Beldon and particularly enjoyed selling strata titled property. She is aware that experience, knowledge and full comprehension of the task at hand is critical to the successful handling of your most valuable asset - your home. Real Estate with Integrity and Passion! This is what Sharon believes, buying and selling property should be all about and what stands her above her competition. She has earned a reputation for her honest and quality advice, while maintaining at all times a professional and friendly service. These values along with the fact that she really loves her work - giving 110% commitment at all times, have resulted in many high achievement awards and repeat business. Her enthusiasm, marketing strategies, energy and commitment will have your home sold for the best possible price and with minimal fuss. Sharon understands that the sale and purchase of real estate can often have a massive impact on people and families, and works with you to ensure the smooth transition of each transaction. Whether selling or searching for your dream home, Sharon makes a point of keeping in close contact with her clients to ensure they are fully informed and in complete control every step of the way. If trust, professionalism, reliability and loyalty are important to you then Sharon Adams will bring together your real estate dreams in the manner you are seeking. Sharon Adams - Real Estate with Integrity and Passion! Stella is a multi-award winning agent who has consistently been in the top 100 performing agents with REIWA and Harcourts Australia over the last 3 years. Her superior qualification as a Licensed Real Estate Agent is further enhanced by two degrees in Marketing and Public Relations. These qualifications combined with more than 20 years experience on 4 continents ensure that Stella is a top agent who consistently achieves great results. Her thorough understanding of real estate coupled with uncompromising honesty and integrity and the ability to listen closely makes her the ideal choice to partner you when looking to buy or sell your largest asset – your home. Call Stella now to enjoy superior service. With 25 years selling experience, Suzi Baker consistently demonstrates her ability and tenacity in relation to her professionalism, marketing and negotiation skills. A proven performer, Suzi has won several top awards in her selling career. Her forte is communication, negotiating and rapport building to ensure that she achieves the best possible results for her clients. Listening to your needs with a unique professional manner, Suzi ensures that all clients feel relaxed and confident in a time that could otherwise be stressful. With a passion for Real Estate, Alison takes her role to a new level with calm “Can Do” approach in all aspects of her role and with her determination and diligence, makes her the ideal person to manage your investment property. Alison has excellent organisational, time management and interpersonal skills from her extensive background in customer service and administration, plus skills and knowledge necessary to ensure a high standard which is vital for a professional Property Management service. Dianne Barella originates from South Africa where she worked for 10 years at the South African Breweries in the Finance and Training Division. Dianne and her family emigrated to Australia in 2000. Prior to property management, she worked as a Sales Coordinator for the Commonwealth Bank. In this role she dealt with Mortgage Brokers, including accrediting new brokers to the market. She commenced her Property Management Career in November 2007 where she quickly gained a strong knowledge of the profession. After gaining this valuable knowledge in Property Management, she decided to specialize in Business Development for the Property Management Department at the Harcourts Alliance Group, where she focuses on the importance of growing the Property Management Department. Dianne thrives in this role with the whole team in property management providing her with excellent support to enable her to service the clients needs. She is a multiple award winner, including being awarded the top Business Development Manager for Harcourts in W.A. for 2013/14 and is the current record holder for new properties brought into an office, with an amazing 33 new clients in one month. This is due to her client orientated customer service skills along with a committed and professional approach. 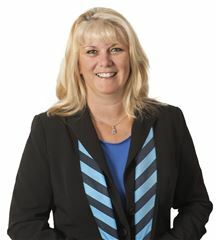 Dianne is renowned for always acting with integrity and prides herself on striving for positive outcomes for clients. Recognised on a National stage in July 2015, Di achieved Finalist status in the Real Estate Business awards as 'Business Development Manager of the Year’ and was also awarded Business Development Manager of the Year for Harcourts WA 2015 showcasing her dedication to her role. A friendly, high energy communicator in property management and a leader in the industry, Kaylia Silli is soughtafter for her attendance to communications with her customers and staff and is known for her willingness to go above and beyond for her customers. She skilfully negotiates the needs of her owners against those of her tenants, so that all parties are happy and able to feel comfortable with their manager, whilst also minimising the amount of disruption. If your looking for someone who will go above and beyond for their clients, you cant go past Kaylia Silli! After working for 2 years in retail and 6 months as an administrator for a small loans company, Melissa completed her Business and Sales course to fulfil her passion for the Real Estate Industry. Melissa is very excited to have began her Real Estate career with Harcourts Alliance as the Receptionist/Property Management Assistant. She brings with her a confident and can do attitude with nothing ever too much trouble for her! Priding herself on customer service and the ability to ensure customers are receiving the best possible service. Melissa is gaining valuable experience in Property Management and is currently building up her own portfolio as well as supporting our team. Ramona is an experienced Property Manager whose high level of customer service and communication skills helps her excel in this role. Originally from Switzerland, Ramona’s strong work ethic comes from her passion for the Real Estate industry, she thrives on its fast pace nature and the challenges it brings. Ramona has plenty of experience in developing strong relationships with clients, believing communication is the key to success. She works hard to meet the high expectations of her clients and enjoys doing so. Cherie-Anne has worked in Customer Service based roles throughout her career and understands the need for good rapport between client and company. She started in real estate in 2007 as a sales representative them moved into the role of Personal Assistant prior to joining Harcourts Alliance. Cherie-Anne thrives on the challenges that come with working in Real Estate. She has a good work ethic, always performs to a high standard and treats everyone with respect, whether they are client or colleague. At home, Cherie-Anne is the mother to four lovely children and she applies the same time management and organizational skills to her home life as she does to her work. Commencing her career in real estate in New Zealand in 2004 Gillian has worked in both sales and property management as a ‘behind the scenes’ administrator. Gillian understands the importance of the client’s needs and offers excellent customer service and communication skills. She is a friendly and approachable staff member and strives to make your real estate transaction flow as smooth and stress free as possible. As a Chef by trade she understands the pressures of deadlines and things working to plan. Therefore the importance of time management, priorities and attention to detail are paramount to ensure the best outcome is achieved by all parties. Living and working in Carramar for the last 12 years, Carramar is Jeanne’s home, it is the community she has grown to love and holds dear, as this is where her family has grown up. Jeanne has in-depth understanding of the people’s needs and the area, and as such this is where she has chosen to practice real estate. Originally from Zimbabwe Jeanne spent many years working in the mining industry in public relations across all stakeholders. This strong mining background made Perth the obvious choice when the family decided to emigrate. Arriving in Perth at the end of 2005, a change in career was due. Starting in real estate Jeanne joined Harcourts Alliance Joondalup, where she has been very happy for over 12 years. Working across all disciplines of the industry from property management, administration and her portfolio has now grown to include residential sales. Jeanne has a wealth of knowledge of “All things Carramar”. Her dedication, communication skills and charm all wrapped up with a great eye for detail ensure that Jeanne if not only the most delightful person to work with, but also the best at achieving results. Kate has worked in the real estate industry for over 10 years, winning several awards in this time. Starting in sales administration, she soon realised that her real interest was property management. After a short break to be with her children she returned on a part time basis for the last 6 years as a property inspector and property management assistant in order to learn all aspects of the job. Now a qualified Property Manager, she knows that being successful takes great communication skills, extensive knowledge of all things real estate, organisation and most importantly a passion for the job. These aspects are what she prides herself in bringing into her work everyday.